What does it mean to match? For some, it means “swiping right” could match you with your future life partner. For others, it means you’ve been accepted into a U.S. residency or fellowship program. This past Friday marked another iteration of the National Resident Matching Program, aptly nicknamed “the Match.” The Match is a complex computerized algorithm system that determines which school programs students can attend based on interviews, specialty of choice and submitted ranking order. This is the fate of many DO and MD students every year. Of those 43,157 applicants vying for residencies in 2017, about 7,284 were non-U.S. citizen international medical school students and graduates (IMGs). While 3,814 (52.4%) of these non-U.S. citizen IMGs matched to first-year positions (52.4%), the total number who submitted program choices declined from 7,460 in 2016. The reason for this year-over-year decline is not clear. For the 7,284 that applied, or for those that may have considered applying and decided not to (if any), their aspirations may have collided with the Trump Administration’s Executive order regulating immigration to the United States. To recap: the most recent travel ban has created an uncertain situation for the American healthcare system. With the Match, Hospitals across the country tried to decide which medical school graduates they would accept as residents. During the rigorous selection process, hospitals drew new residents from a pool of applicants, including more than 1000 applicants from the six countries included in the revised travel ban. Educational institutions also grappled with a sense of uncertainty. In the short run, some medical programs said they were reluctant to extend offers to the highly-qualified candidates from the six countries included in the ban. In a normal year, this selection process is entirely merit based: the most qualified candidates would typically be selected for residencies. With the ban in place, hospitals had to judge whether or not to take a risk on a candidate depending on who may be denied entry into the country (not based exclusively on merit). Some hospitals and educational institutions may have decided to avoid the risk of extending offers to candidates from the affected countries out of fear that it would leave them shorthanded. The concern was clear: should their institution take the top-choice student or the second-choice student who’s more likely to get into the country with the uncertainty around the immigration situation? On the other hand, some hospital and educational institutions did not allow the potential ambiguity around this issue to affect their willingness to accept foreign students, as 52.4% of non-US citizen IMGs matched to a position, which was the highest rate for that group in over a decade. So, the jury is very much out as to whether the ban had any material impact on the results of the Match. 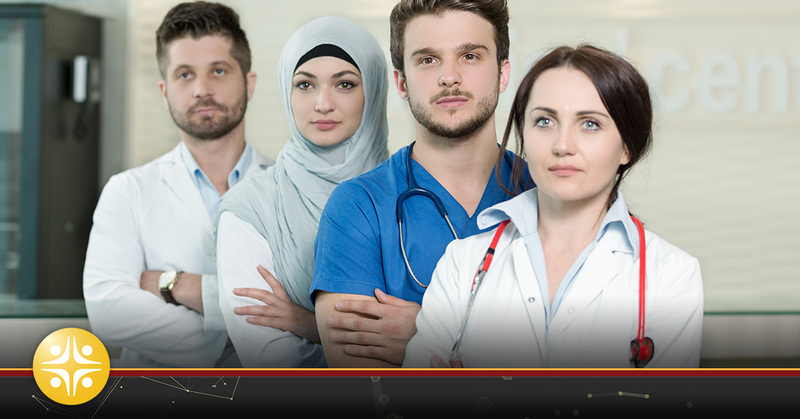 The healthcare industry understands that the Trump administration’s recent executive orders have created new unknowns. Organizations must be prepared for political realities. However, one thing we can be certain of is that medicine does not know borders. The ability of practitioners to cooperate, communicate, and collaborate within a global narrative is truly the hallmark of modern medicine.